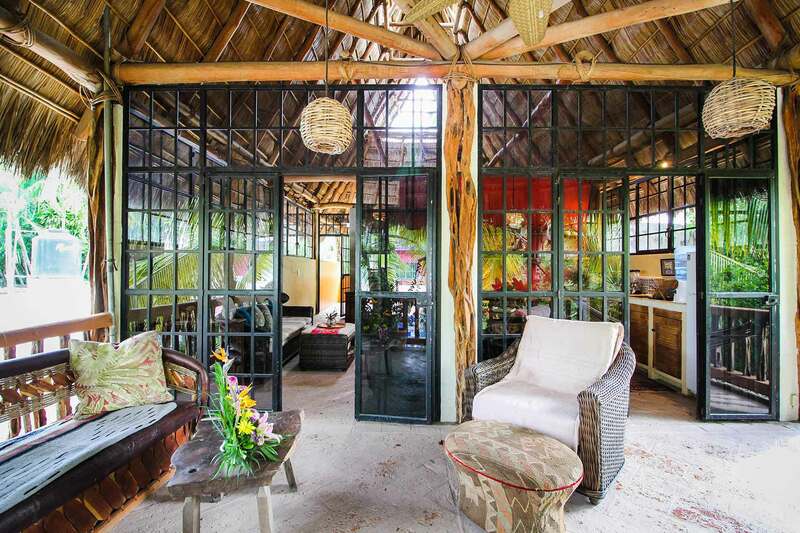 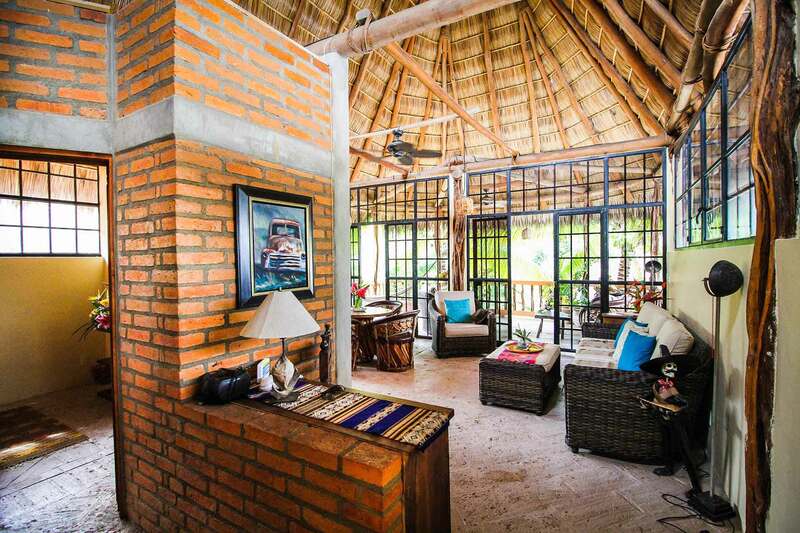 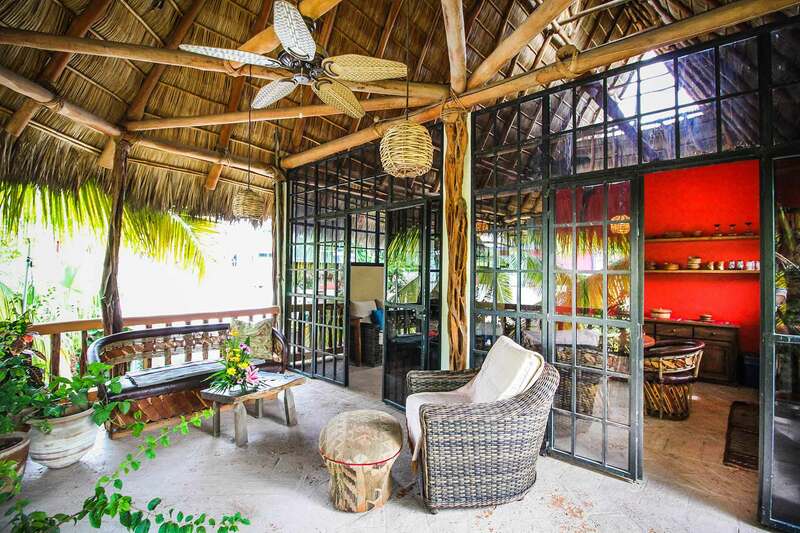 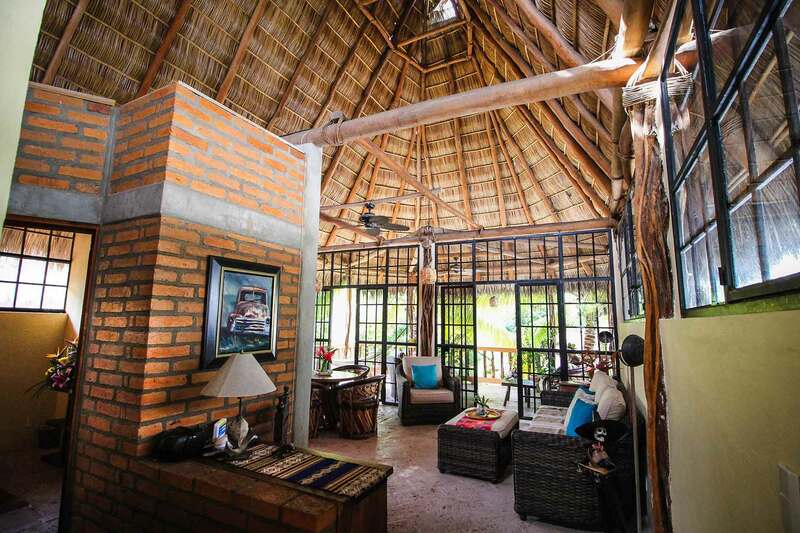 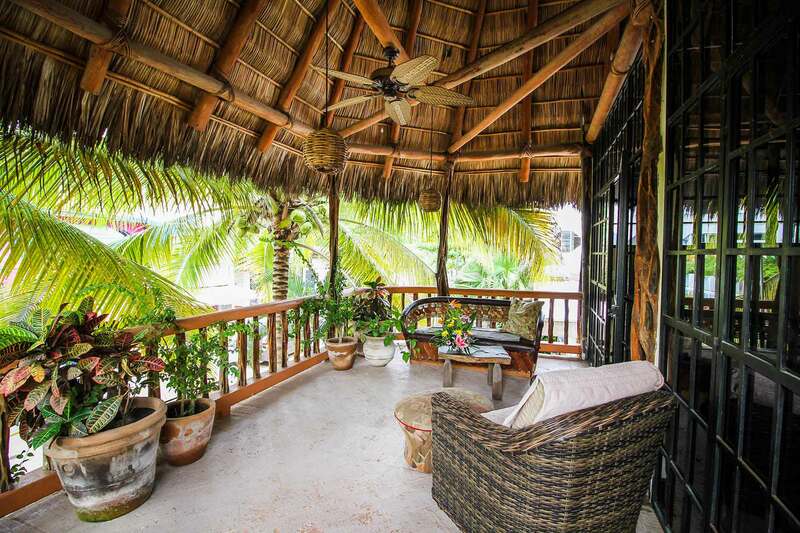 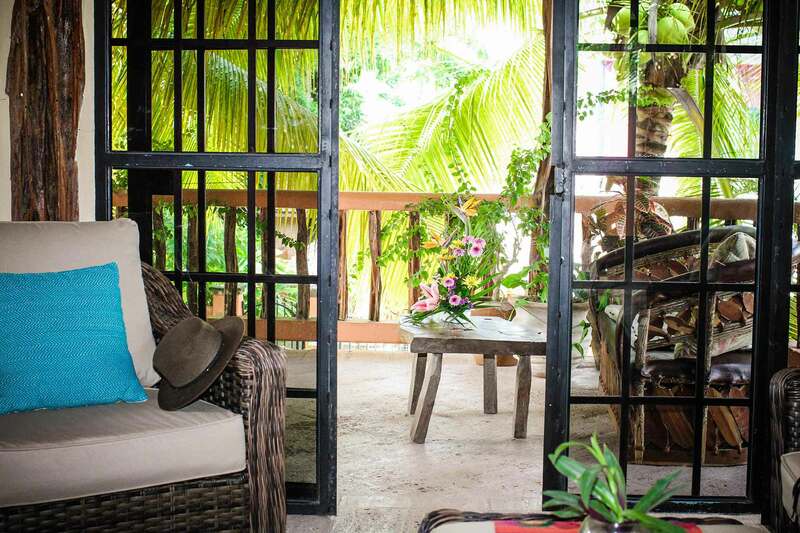 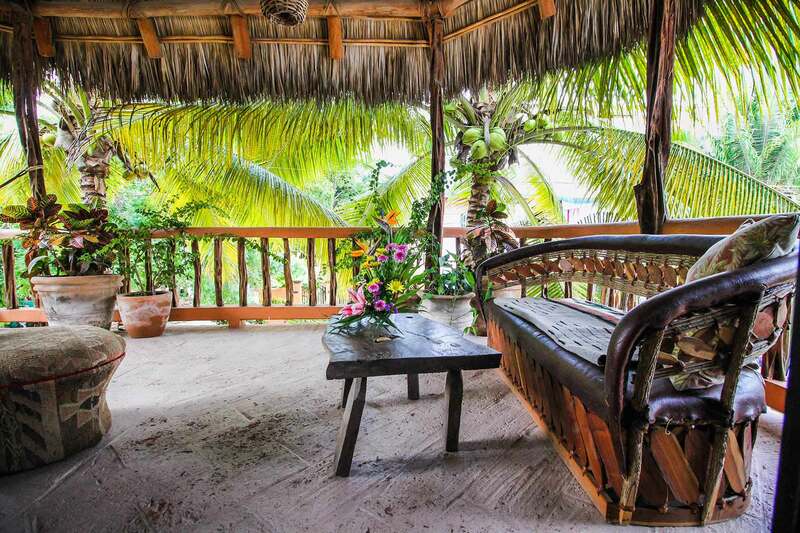 Casa Rafael is a second story two-bedroom palapa roof apartment centrally located in the heart of the picturesque village, San Francisco (San Pancho), Riviera Nayarit, Mexico. 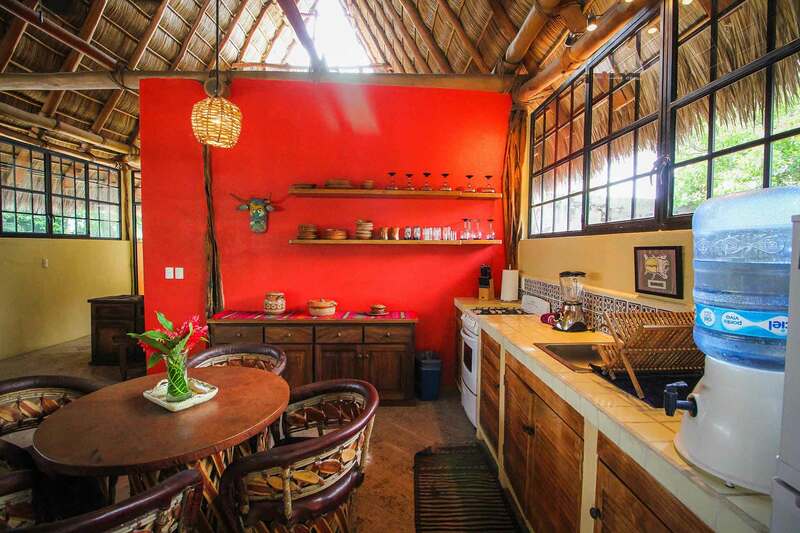 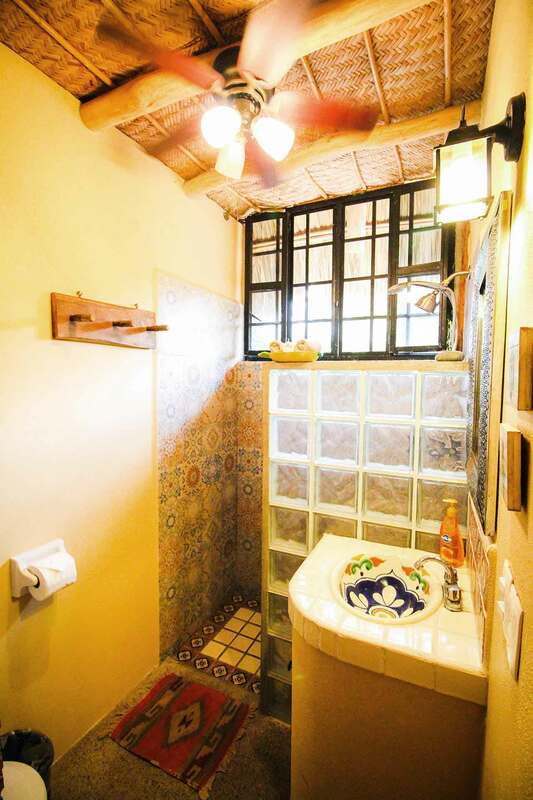 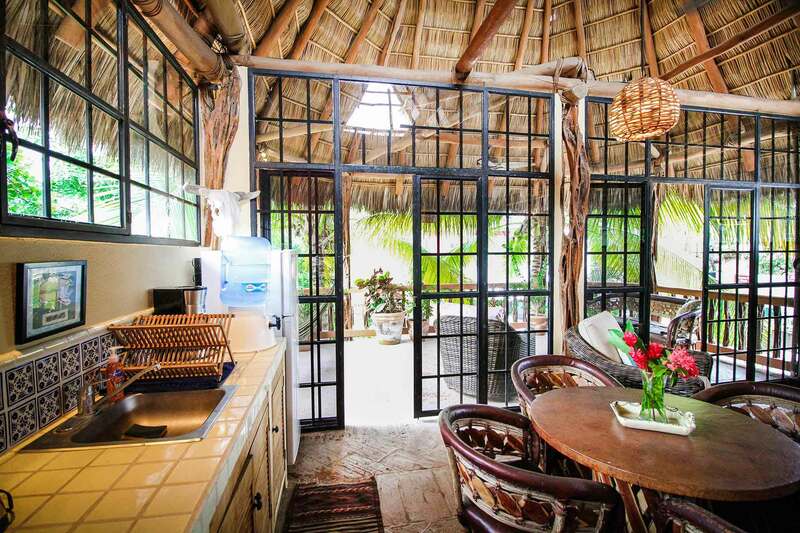 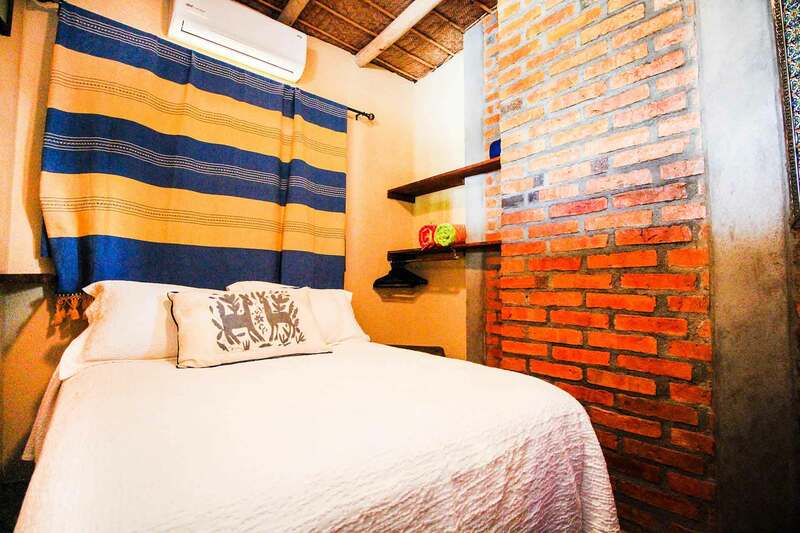 Conveniently situated just 3 blocks from the pristine San Pancho beach and right in the town center, Casa Rafael offers travellers the true Mexican pueblo experience; with everything one will need to discover San Pancho on foot. 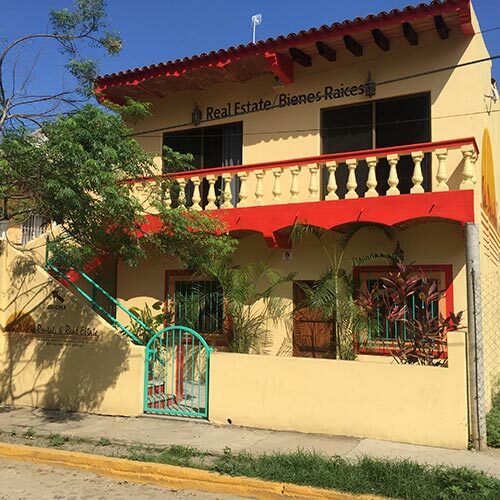 The apartment resides on the main street in San Pancho, Calle Tercer Mundo, just above a gallery. 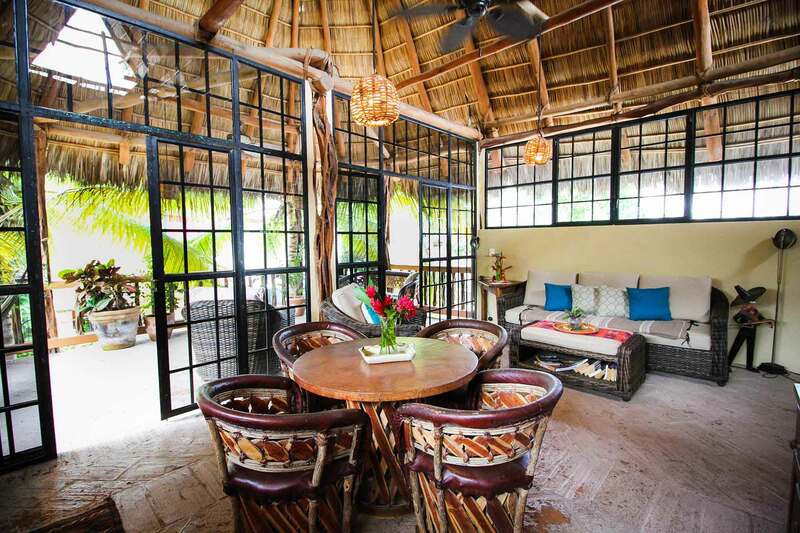 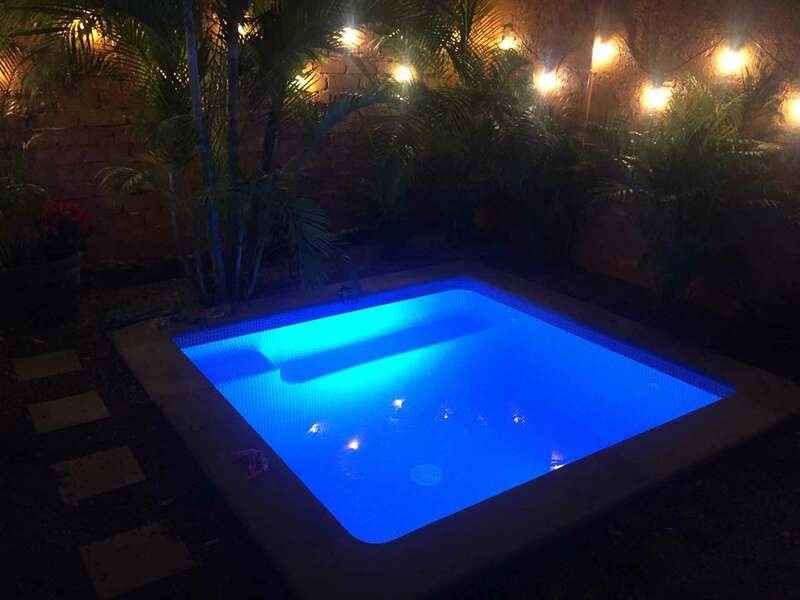 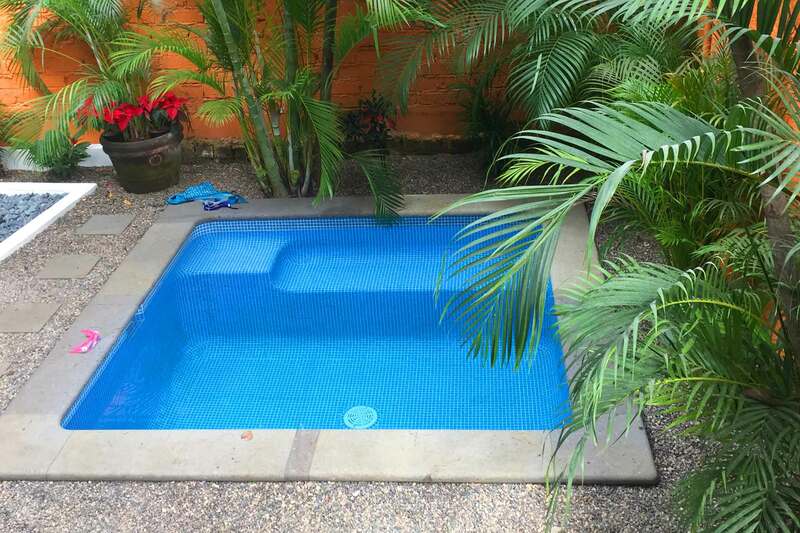 On the ground entry level, one will find an outdoor courtyard with a heated pool, outdoor shower, table, chairs, and barbeque private for guests at Casa Rafael. 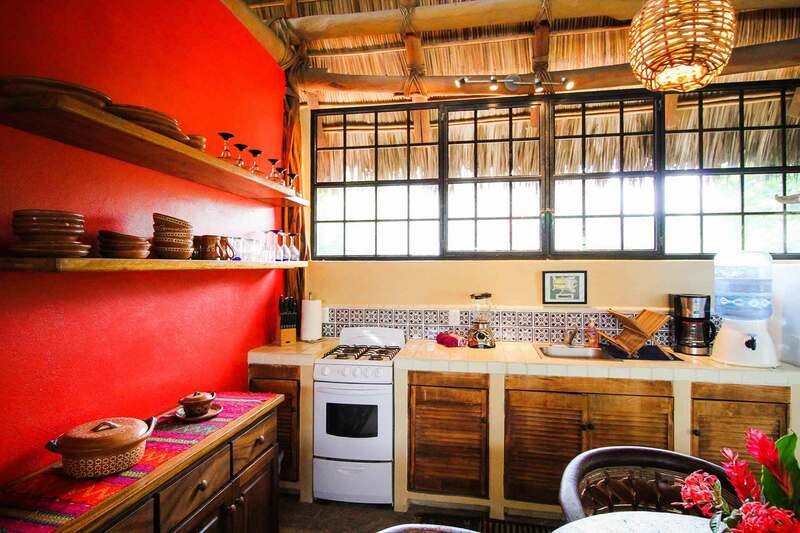 The second level hosts the apartment decorated in a colonial style with Equipal furnishings. 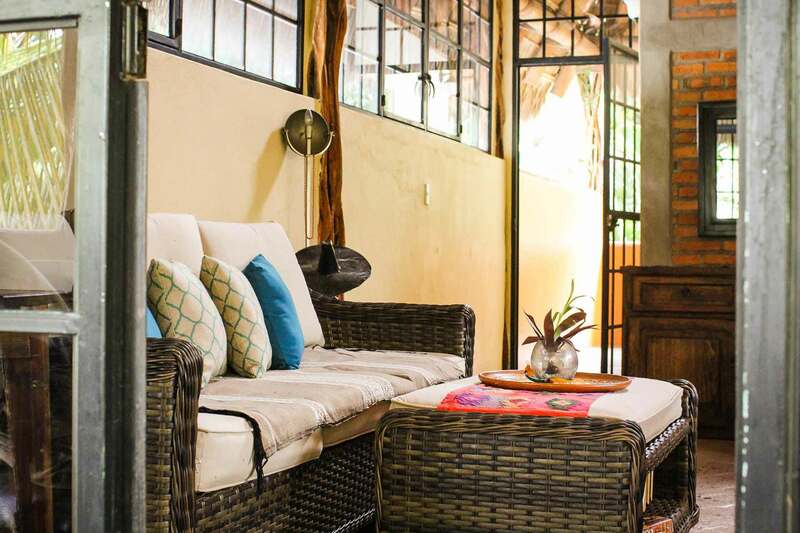 Casa Rafael encompasses an open air living, dining and kitchen area that opens out to a large private terrace overlooking the main San Pancho street. 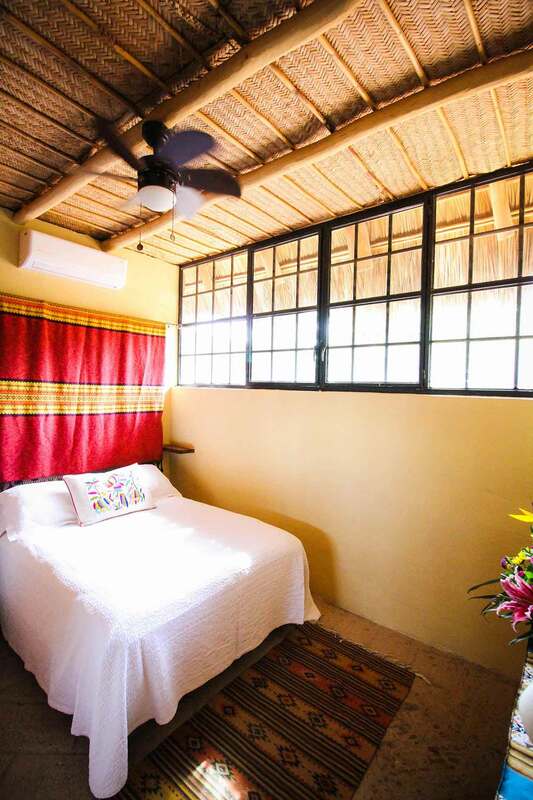 The two cozy screened in bedrooms each with keyed entry are equipped with full-size beds, closets and ceiling fans. 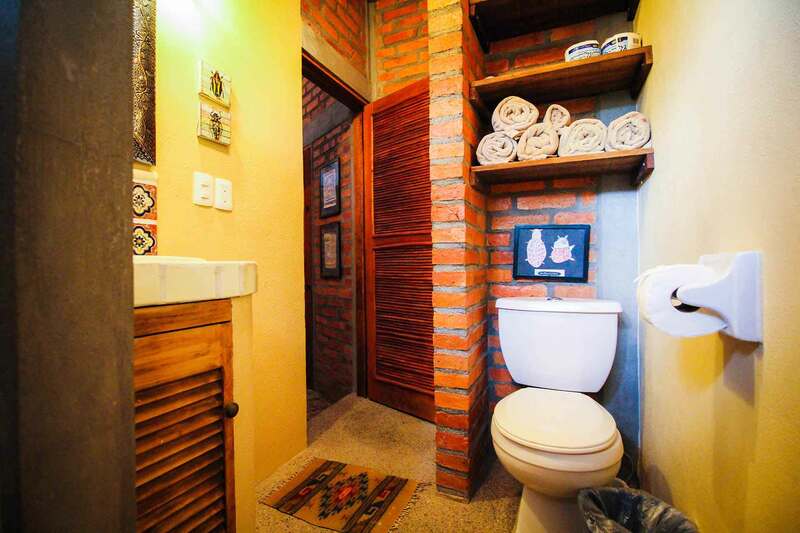 The full bathroom is set between the two bedrooms. 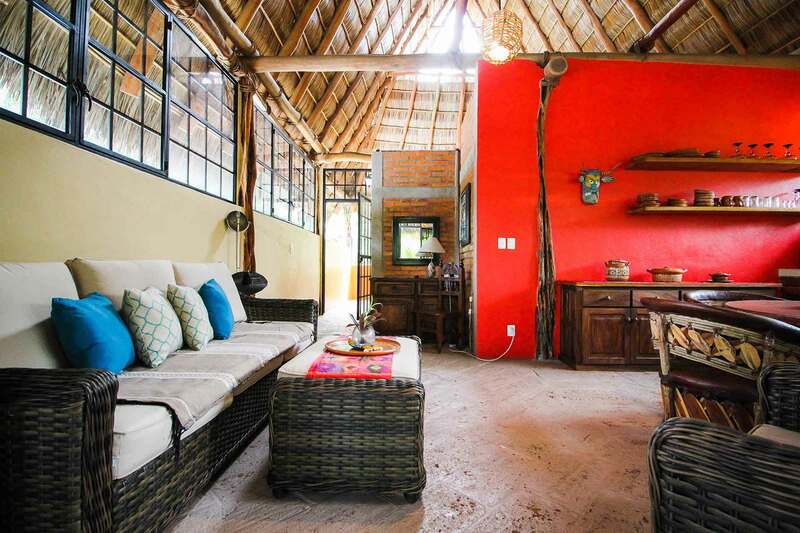 The San Pancho pueblo is a truly authentic Mexican village that offers a perfect place to relax and soak in all the delights of Mexico. 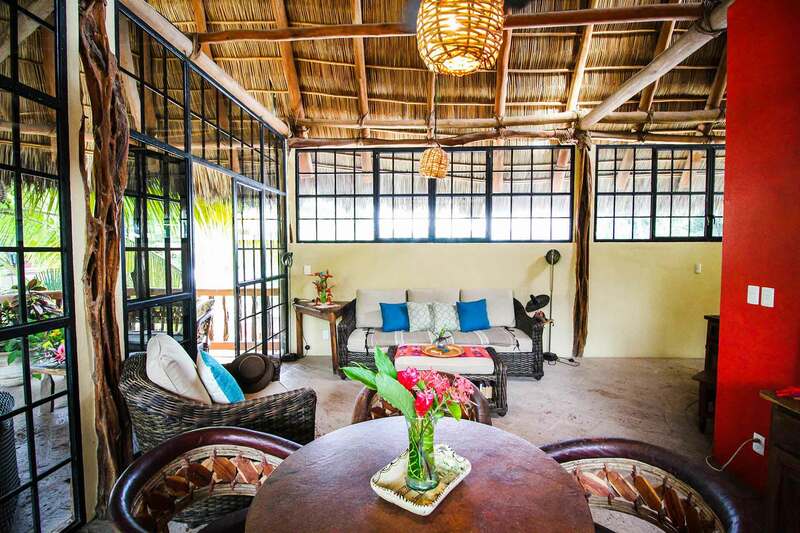  Here you will find a quiet beach with a few beach restaurants where one can watch the beautiful waves and have a perfect vantage point for enjoying the stunning sunsets. 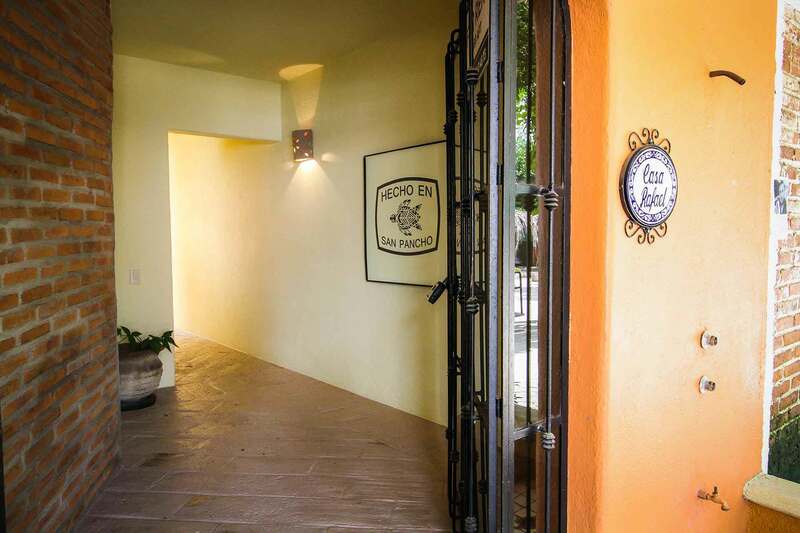 The town offers a variety of great restaurants and boutique shops where you will find unique treasures. 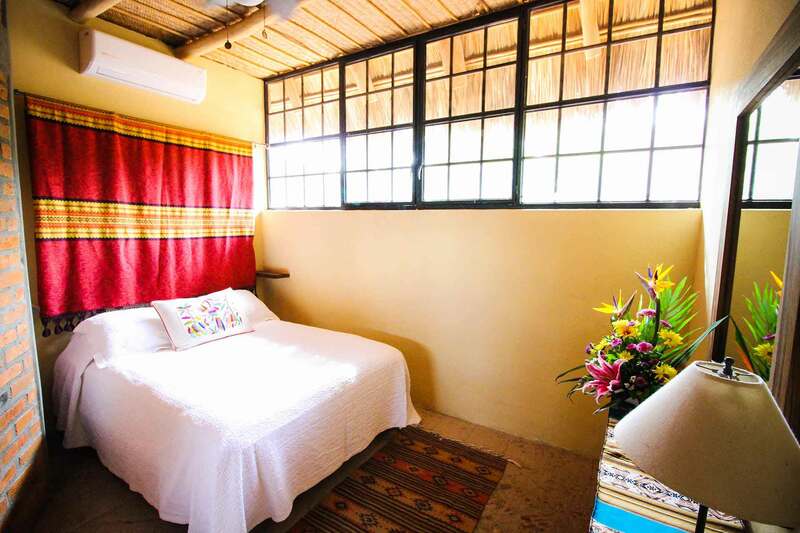 The vibrant art and music scene in San Pancho add to the enchantment and culture of the town. 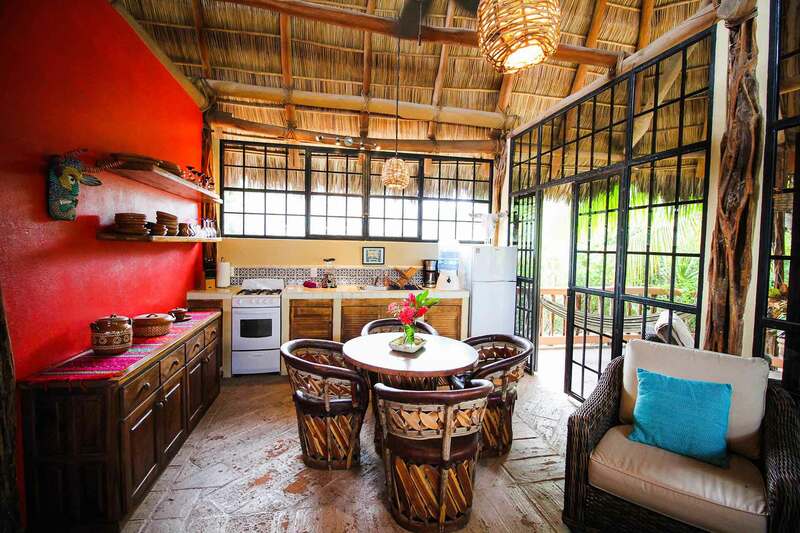 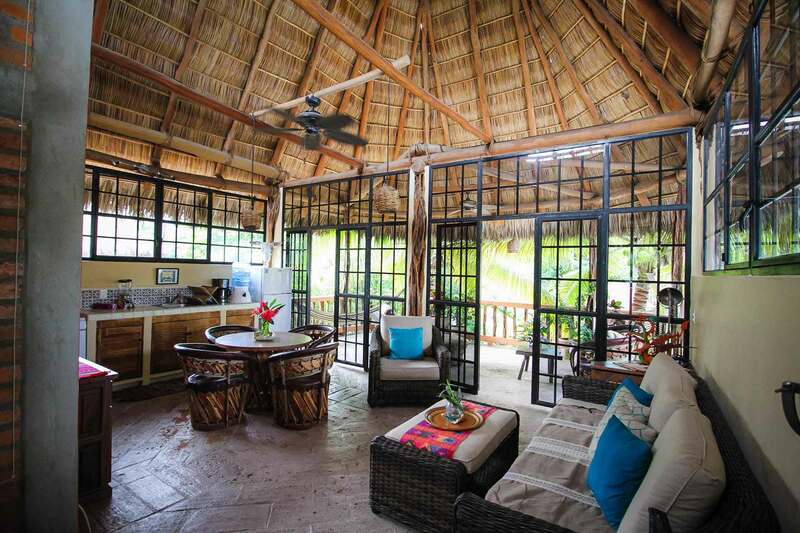 San Pancho and Casa Rafael are places that will stay in your heart forever!